Bernard had three carries for seven yards and two catches for eight yards in Sunday's loss to the Steelers. 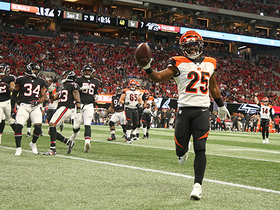 Analysis: Bernard actually got the start on the first series ahead of Joe Mixon, but that was largely ceremonial, as Mixon was the primary ball carrier again Sunday. That's reflective of the new reality -- Mixon became a three-down back this season, so Bernard's role was marginalized except for the two weeks where Mixon was hurt. He finishes the year with 211 yards rushing and 218 yards receiving, tallying three touchdowns in the process. Bernard caught both of his targets, but was unable to gain yardage during Sunday's 26-18 loss to Cleveland. Analysis: The two touches tied a season low for the veteran back. Bernard hasn't scored since Week 4 and has topped 40 total yards just once in seven active games since as Joe Mixon has accounted for 65.7 percent of the Bengals' carries this season. The season ends next Sunday against a top-10 Pittsburgh run defense, surrendering just 4.1 yards per carry. Bernard had six carries for seven yards and two catches for 25 yards in Sunday's win over the Raiders. Analysis: The six carries and 30 offensive snaps were actually as high as Bernard has gotten when Joe Mixon has been healthy, and Bernard even got a red-zone carry inside the 10-yard line, but it's clear this isn't going to approach a timeshare so long as Mixon isn't hurt. Bernard ran for seven yards on three carries and added 13 yards on two catches during Sunday's 26-21 loss to the Chargers. 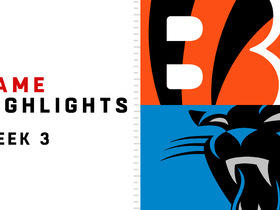 Bernard had six catches on eight targets for 32 yards in the Bengals' Week 13 loss to the Broncos. He also had five catches for 14 yards. Analysis: The Bengals had trouble moving the ball against the Broncos all day, so Bernard's relatively heavy volume in the passing game made a meager impact. Bernard rushed once for 10 yards and caught his only target for 12 yards in Sunday's 35-20 loss to the Browns. Analysis: The Bengals only rushed 20 times as a team, though it's likely that didn't impact Bernard's touches, as the veteran running back has failed to see more than two carries in three consecutive contests. Bernard has 39 carries for 176 yards this season, but without a plethora of touches, he can't be relied on as a fantasy option. Bernard caught all four of his targets for 20 yards and added five yards on two carries during Sunday's 24-21 loss to Baltimore. Bernard brought in two of three targets for 30 yards and added two carries for six yards in Sunday's loss to the Saints. Analysis: Bernard was the preferred option in the Bengals' two-minute drill, but Joe Mixon still logged most of the snaps in the backfield. However, the entire second half was essentially garbage time, which makes it difficult to judge the team's plans for the division of labor in the backfield in Week 11. Bernard is active for Sunday's game against the Saints, Fletcher Page of The Cincinnati Enquirer reports. Bernard (knee), who is listed as questionable for Sunday's game against the Saints, is expected to play, a source told Ian Rapoport of NFL Network. Bernard (knee) is listed as questionable for Sunday's game against the Saints, Paul Dehner Jr. of The Cincinnati Enquirer reports. Analysis: Doing the math, with six players already ruled out by the Bengals and Alex Redmond considered doubtful, there's currently no room for Bernard on the team's Week 10 inactive list. Assuming he's available for the team's 1:00 PM ET kickoff Sunday, Bernard would step into a change-of-pace role behind Joe Mixon, who is coming off his best game of the season. It's an assignment that could yield a degree of PPR utility for Bernard, but volume will be an issue for him as long as Mixon is healthy. Bernard (knee) was a limited participant in Thursday's practice, Jay Morrison of The Athletic reports. Bernard (knee) was a limited practice participant Wednesday, Paul Dehner Jr. of The Cincinnati Enquirer reports. Analysis: Bernard returned to work Monday coming off the Bengals' bye and is hoping to play in a game for the first time since Week 4, when he suffered an MCL sprain. His return for Sunday's game against the Saints likely would push Mark Walton out of a role in the Cincinnati offense, while Joe Mixon would face legitimate competition for passing-down snaps. Bernard may need to log a full practice session before the Bengals are comfortable bringing him back for a game. Bernard (knee) is practicing Monday, Paul Dehner Jr. of The Cincinnati Enquirer reports. Analysis: Coming out of a Week 9 bye, Bernard made his first appearance on the practice field since suffering an MCL sprain Week 4. A return for Sunday's game against the Saints would put a slight damper on Joe Mixon's projection, considering Bernard poses more of a threat than Mark Walton. That being said, Mixon handled a 79 percent snap share against the Colts in Week 1, the only time this season both he and Bernard made it through a game without any injury problems. Bernard (knee) has been ruled out for Sunday's game against the Buccaneers, Katherine Terrell of ESPN.com reports. Analysis: With the Bengals on bye Week 9, Bernard will take aim at a potential return to action Nov. 11 against the Saints. In his continued absence, Joe Mixon will head the Cincinnati backfield, with Mark Walton on hand to work in a complementary role. Bernard (knee) wasn't spotted at Thursday's practice, Katherine Terrell of ESPN.com reports. Analysis: Back-to-back practice absences point to Bernard being ruled out for Sunday's game against the Buccaneers. The Bengals are on bye in Week 9, so it probably makes sense for the team to proceed cautiously with the running back, with an eye toward possibly welcoming him back to the mix in Week 10. In the meantime, Joe Mixon will continue to lead the Cincinnati backfield, with Mark Walton in reserve. Bernard (knee) wasn't spotted on the practice field Wednesday, Paul Dehner Jr. of The Cincinnati Enquirer reports. Analysis: Bernard still has a couple more opportunities to return to practice before Sunday's game against the Buccaneers arrives, but his lack of participation Wednesday hints at another potential absence. The Bengals have a Week 9 bye, so there's some added incentive for the team to take a cautious approach with the running back, who is recovering from an MCL sprain. If Bernard misses a fourth straight game, Joe Mixon and Mark Walton would continue to handle the team's backfield duties. Bernard (knee) won't play Sunday against the Chiefs, Jay Morrison of The Athletic reports. Analysis: As a result, Joe Mixon will once again head the Bengals' backfield in Week 7, with Mark Walton on hand to work in a reserve role. Bernard wasn't able to practice at any point Wednesday through Friday, but he'll remain hopeful to return to action in Week 8 against the Buccaneers. Bernard (knee) did not practice Thursday, Paul Dehner Jr. of The Cincinnati Enquirer reports. Analysis: Bernard is thus trending toward being sidelined for a third straight contest, a scenario that could be confirmed as soon as Friday's final injury report. If that's the case, Joe Mixon will once again head the Bengals' backfield in Week 7, with Mark Walton on hand to work in a reserve role. Bernard (knee) was spotted working out with the Bengals' rehab group at Thursday's practice, Fletcher Page of The Cincinnati Enquirer reports. Analysis: Unless Bernard sees involvement with the Bengals' healthy players during the portion of practice closed to the media, he'll likely go down as a non-participant for the second straight day. At this point, it appears likely that Bernard will miss a third consecutive game Sunday against the Chiefs, putting Mark Walton in line to serve as the top understudy to lead back Joe Mixon. Bernard (knee/toe) didn't practice Wednesday, Geoff Hobson of the Bengals' official site reports. Analysis: Hobson relayed in his report that "It looks like another week without" Bernard, with the running back having yet to demonstrate much notable progress in his recovery from a sprained MCL. If Bernard is in fact sidelined for a third straight contest, Joe Mixon would continue to handle the overwhelming share of carries out of the backfield while Mark Walton slots in as the top backup. Bernard (knee) has been ruled out for Sunday's game against the Steelers, Geoff Hobson of the Bengals' official site reports. Analysis: Offering some hope that Bernard might return as soon as next week is that he was spotted working on a side field at Friday's practice. In Week 6, however, Joe Mixon is once again slated to head the Bengals backfield, with Mark Walton on hand to work in a reserve role. Bernard (knee) was spotted working on a side field at Friday's practice, Jay Morrison of The Athletic reports. Analysis: Bernard was unable to take part in the Bengals' first two practices of the week, and it appears unlikely he will get in any work Friday. 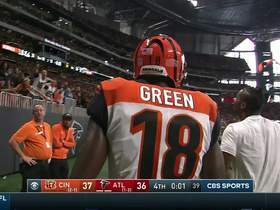 The Bengals will reveal whether or not he has any chance to get back on the field Sunday when they release their final injury report of the week. Bernard (knee) wasn't present for the portion of Thursday's practice that was available to the media, Jay Morrison of The Athletic reports. Analysis: Bernard is expected to go down as a non-participant in practice for the second straight day, further validating the notion that he's a long shot to play Sunday against the Steelers. If Bernard is in fact sidelined for a second straight game, Joe Mixon would be in store for a hefty workload out of the backfield. Rookie Mark Walton would be on hand as Mixon's lone backup. Bernard (knee) didn't practice Wednesday, Katherine Terrell of ESPN.com reports. Coach Marvin Lewis said Wednesday that he isn't ready to rule Bernard (knee) out for the Bengals' Week 6 game against the Steelers, Jay Morrison of The Athletic reports. Bernard (knee) is dealing with a sprained MCL and is expected to miss 2-to-4 weeks, Tom Pelissero of NFL.com reports. Bernard (knee) has been ruled out for Sunday's game against the Dolphins, Paul Dehner Jr. of The Cincinnati Enquirer reports. Analysis: Bernard's absence coincides with the return to the mix of Joe Mixon (knee) and sets the stage for rookie Mark Walton to serve as the Bengals' No. 2 back in Week 5. Bernard (knee) worked on the side during the media-access portion of Friday's practice, Katherine Terrell of ESPN.com reports. Analysis: Bernard sat out the first two days of practice this week, and it's looking like he's trending toward another absence Friday. That seemingly leaves Bernard as a long shot to play this week, but the Bengals will reveal whether or not he has any chance to play in Week 5 when they release their final injury report of the week following Friday's practice. Bernard (knee) wasn't in uniform Thursday and isn't expected to participate in the Bengals' practice session, Katherine Terrell of ESPN.com reports. Bernard didn't practice Wednesday due to a knee injury, Geoff Hobson of the Bengals' official site reports. Analysis: The status of Bernard, who missed the tail end of the Week 4 win over the Falcons, is thus cloud heading into Sunday's matchup with the Dolphins. Fortunately for the Bengals, No. 1 back Joe Mixon (knee) was able to participate in Wednesday's session and seems to be trending toward a return after sitting out the past two games. Bernard (undisclosed) wasn't spotted at practice Wednesday, Paul Dehner Jr. of The Cincinnati Enquirer reports. Analysis: Bernard suffered an unspecified injury near the end of the Bengals' Week 4 win over the Falcons. The Bengals will release their first practice report of the week later Wednesday, which should clarify the nature of Bernard's issue. The report will also clarify the extent of backfield mate Joe Mixon's (knee) participation in Wednesday's session. Mixon is believed to be trending toward a return to action Sunday against the Dolphins, which would probably translate to a lessened role for Bernard. 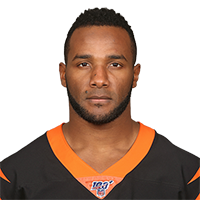 Bernard was unavailable on the Bengals' game-winning drive against the Falcons on Sunday due to an undisclosed injury, Jay Morrison of The Athletic Cincinnati reports. Analysis: While Joe Mixon is likely returning Week 5 against the Dolphins, Bernard still probably would have played a significant role on third downs, but this injury might alter that status in the short term. Bernard rushed 15 times for 69 yards and two touchdowns while catching all four of his targets for 27 yards in Sunday's 37-36 win over the Falcons. 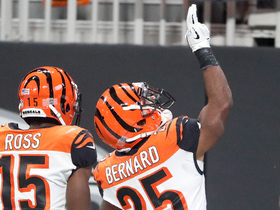 Analysis: Bernard was once again effective while filling in for the injured Joe Mixon (knee). He found paydirt from 10 yards out late in the first quarter and again on a one-yard run late in the second. While Bernard has performed admirably as Cincinnati's feature back over the past two weeks, his role will shrink significantly if Mixon returns as expected against the Dolphins in Week 5. Bernard (thigh) does not carry an injury designation for Sunday's game against the Falcons, Katherine Terrell of ESPN.com reports. Bernard (thigh) was a limited participant in Thursday's practice, Paul Dehner Jr. of The Cincinnati Enquirer reports. Analysis: With back-to-back limited showings in practice, Bernard doesn't seem as healthy as a week ago, when he followed a limited practice Wednesday with a full session Thursday. So long as he upgrades to a full workload at Friday's practice, Bernard's status for the Week 4 matchup won't be much of a question mark. If Bernard is cleared to suit up, he'll likely be in store for another sizable workload with No. 1 back Joe Mixon (knee) trending toward an inactive status for the second straight week. Bernard was a limited participant at Wednesday's practice due to a thigh injury, Paul Dehner Jr. of The Cincinnati Enquirer reports. Bernard rushed 12 times for 61 yards and a touchdown while adding five catches for 25 yards on nine targets in Sunday's 31-21 loss to Carolina. 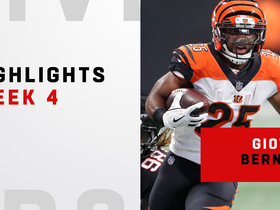 Analysis: Bernard dominated the backfield touches with Joe Mixon (knee) out, as the only other Cincinnati carry was recorded by wide receiver Tyler Boyd. While Bernard moved the pile to cap his team's first drive with a one-yard touchdown, he wasn't as involved in the receiving game as his excellent pass-catching reputation would suggest. If Mixon's unable to suit up next week in Atlanta, Bernard would again have the team's running back snaps mostly to himself. Bernard (knee) was a full participant in Thursday's practice, Paul Dehner Jr. of The Cincinnati Enquirer reports. Bernard was limited at Wednesday's practice due to a knee injury, Geoff Hobson of the Bengals' official site reports. Analysis: Assuming the issue that limited him is minor, Bernard is slated to head the Bengals' backfield Sunday against the Panthers, given that Joe Mixon (knee) has already been ruled out. Rookie Mark Walton and newcomer Thomas Rawls are behind Bernard on the depth chart, but neither player looks to be in line for ample work on offense. Bernard is in line for added work in the next two weeks, with Adam Schefter of ESPN reporting that Bernard's teammate, Joe Mixon, is slated to have his knee scoped. Analysis: Bernard merits an immediate pickup by those looking for short-term running back help and could end up being a nice DFS value play for Week 3 against Carolina. He piled up 208 rushing yards, 133 receiving yards (16 catches) and two TDs in a span of three games when Mixon was injured last December. Bernard was more active Week 2 than he was in the first week of the season, carrying the ball six times for 27 yards while hauling in four catches for 15 yards, on seven targets. Analysis: Joe Mixon was nursing a sore knee and had to miss a couple of series. Plus, it appeared that the Bengals made more of an effort to keep Bernard involved. Mixon should be good to play Week 3, so this is the likely cap on Bernard's workload when Mixon is available. Bernard lost two yards on his lone carry and caught his only target for 11 yards in Sunday's 34-23, Week 1 win over the Colts. Analysis: Bernard was a non-factor while Joe Mixon turned 17 carries and seven targets into 149 scrimmage yards and a touchdown. What's most concerning about Bernard's lack of touches is that Cincinnati trailed into the fourth quarter, so there was no lack of the passing situations in which Bernard usually thrives. Bernard was used sparingly in the preseason, as he finished with nine carries for 28 yards (3.1 YPC), while second-year lead back Joe Mixon was even less efficient with a 1.8 YPC average on 13 attempts. Analysis: With improvements to the offensive line and a full offseason to adjust to offensive coordinator Bill Lazor's system, the expectation is that the Bengals' running game will get rolling with the start of the regular season and the subsequent increased reps for both backs. Bernard might be on the field often in passing situations, with the chance of taking on a larger role in the running game if Mixon fails to take a step forward following a disappointing rookie campaign. Bengals offensive coordinator Bill Lazor is excited to use Bernard and Joe Mixon in the backfield, the team's official website reports. Bernard had 10 carries for 52 yards along with six receptions for 18 yards in the Bengals' 31-27 win over the Ravens in Week 17. 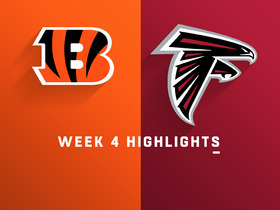 While Joe Mixon (ankle) is expected to play Sunday against the Ravens if he incurs no setbacks during pregame warmups, Bernard appears positioned to see the bulk of the carries during the contest, Katherine Terrell of ESPN.com reports. Bernard is expected to act as the Bengals' lead back Sunday against the Ravens with Joe Mixon (ankle) not expected to play, a source informed Ian Rapoport of NFL Network reports. Bernard (ankle) does not carry an injury designation for Sunday's game against the Ravens after practicing fully Friday. Analysis: Meanwhile, Joe Mixon (ankle) is listed as questionable for the game after practicing in a limited fashion the last two days. If Mixon is able to suit up Sunday, Bernard, who logged 168 yards from scrimmage in Week 16, would move back into a time-share, but either way, he should see enough touches to merit Week 17 fantasy consideration, more so if Mixon is held out. Bernard (ankle) was listed as a limited participant at Thursday's practice. Bernard was limited at practice Wednesday due to an ankle injury, Paul Dehner Jr. of The Cincinnati Enquirer reports. Bernard carried 23 times for 116 yards and a touchdown during Sunday's game against the Lions. He also caught seven passes for an additional 52 yards in the 26-17 win. Analysis: Thrust into a larger role after Joe Mixon (ankle) left due to injury, Bernard responded with a career-high 168 yards from scrimmage. He helped the offense churn out first downs with tough runs and was rewarded with a 12-yard touchdown scamper in the fourth quarter to put the game out of reach. With nothing to play for, it possible that Mixon will be held out of next week's game against the Ravens, meaning Bernard could have another chance to shine, albeit in a difficult matchup. Bernard will revert to a reserve role Sunday against the Lions due to Joe Mixon's (concussion) return to action. Analysis: Bernard took the reins of the rushing attack during Mixon's two-game absence, turning 25 carries into 92 yards and one touchdown. In addition to the contribution on the ground, Bernard chipped in nine receptions (on 13 targets) for 81 more yards. With Mixon's concussion behind him, Bernard likely will revert to his workload prior to Week 13, a span in which he averaged 4.8 touches and 30.9 yards from scrimmage per game while scoring two TDs in 11 contests. Bernard rushed 14 times for 30 yards and a touchdown while turning five targets into three catches for 13 yards in Sunday's 34-7 loss at Minnesota. Analysis: Bernard's garbage-time, two-yard touchdown in the fourth quarter rescued his fantasy day in what was otherwise an embarrassing performance for Cincinnati's offense on the whole. The shifty veteran's been a strong late-season find as the starter in Joe Mixon's (concussion) absence, but the rushing touchdown was his first of the season. Bernard has two receiving scores this year as well. Bernard is expected to serve as the Bengals' lead back in Sunday's game against the Vikings with Joe Mixon (concussion) ruled out, Katherine Terrell of ESPN.com reports. Bernard (knee) practiced fully Friday and doesn't carry an injury designation into Sunday's game against the Vikings. Bernard (knee) was a limited participant at Thursday's practice, Katherine Terrell of ESPN.com reports. Bernard (knee) was limited at practice Wednesday. Analysis: Bernard should be available for Sunday's road game against the Vikings, but his Week 15 fantasy upside largely hinges on the status of fellow running back Joe Mixon, who is in the NFL's concussion protocol and did not practice Wednesday. Bernard rushed 11 times for 62 yards and caught six of eight pass attempts for 68 yards in Sunday's 33-7 loss to the Bears. Analysis: As expected, Bernard was indeed the workhorse back with Joe Mixon out due to a concussion. The 26-year-old saw all but two of the Bengals' carries and was their No. 2 option in terms of targets. He'll be in line for a similar role in Week 15 at Minnesota if Mixon is out again, although it ought to be a much tougher contest. The Vikings have allowed the second fewest rushing yards per game this season. Bernard is expected to start at running back Sunday against the Bears with teammate Joe Mixon (concussion) ruled out for the contest, Katherine Terrell of ESPN.com reports. Bernard rushed 13 times for 77 yards and caught two of three targets for 19 yards in Monday night's 23-20 loss to the Steelers. Bernard rushed for 12 yards on three carries and added a 15-yard catch during Sunday's 30-16 win over Cleveland. Bernard caught all five of his targets for 38 yards and added two carries for 10 yards during Sunday's 24-20 loss to the Titans. Analysis: The meager seven touches represented Bernard's highest total since Week 2, and the 48 yards were Bernard's third highest total of the year. The season-ending injury to Jeremy Hill might free up a few more opportunities, but Cincinnati still seems content to ride rookie Joe Mixon more often than not. Bernard's niche remains as a change-of-pace back and pass catcher out of the backfield. 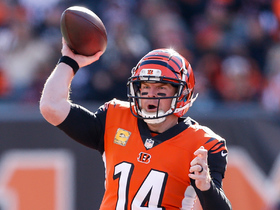 Neither role likely warrants much fantasy attention in the Bengals' offense until further notice. Bernard could see his snap count increase Sunday against the Jaguars with starting running back Jeremy Hill (ankle) inactive for the game, Paul Dehner Jr. of The Cincinnati Enquirer reports. 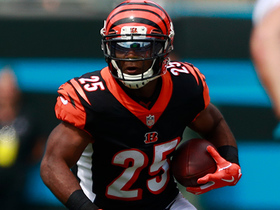 Cincinnati Bengals running back Giovani Bernard speeds downfield for a 22-yard gain. 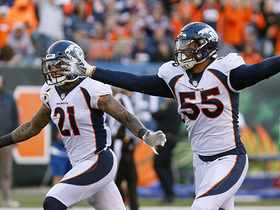 Cincinnati Bengals quarterback Jeff Driskel fumbles and Denver Broncos defensive end Bradley Chubb recovers to seal a Broncos victory. 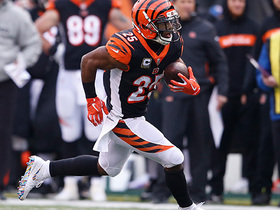 Cincinnati Bengals running back Giovani Bernard punches in a 10-yard touchdown.